Manchester City coach Manuel Pellegrini has conceded that news of Pep Guardiola‘s arrival affected the focus of his players. It was confirmed on transfer deadline day at the beginning of February that the Bayern Munich coach would be replacing the Chilean manager at the Etihad Stadium at the season’s end. Few—if any—managers in the world game enjoy Guardiola’s standing in the world game, with the Spanish icon having enjoyed immense success—both domestically and in Europe—during his time with Barcelona. While he hasn’t managed to take Bayern back to the Champions League final, the former Spain international has enjoyed consistent domestic success in Germany. 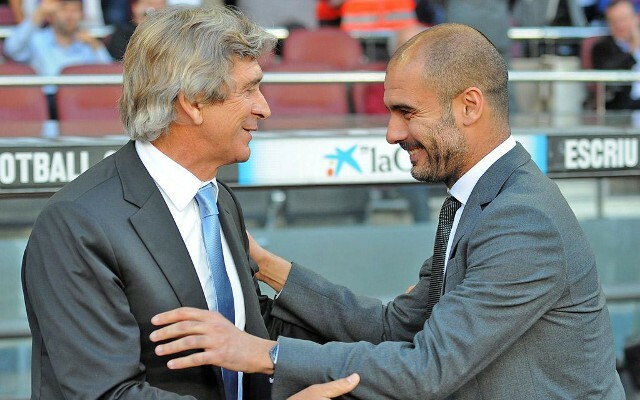 Largely, Pellegrini has been gracious about his impending departure and the arrival of Guardiola. However, speaking to the media—as per the Telegraph—the former Real Madrid coach has conceded that the news of the manager’s imminent arrival has affected his players. “At the start of February, there was news about a change of the manager, about players who will not continue here next season, about a lot of things involved in the minds of all the players,” Pellegrini began. Pellegrini—who arrived at the Etihad Stadium in 2013—has won the Premier League title, two League Cups and taken the Citizens to the Champions League semi-finals for the first time in their history.